When you are interested in purchasing a property you’ll probably view many while you search. Whether you’re hunting for a good investment property or a property that will become your dream home you’ll need to know exactly what you are looking for in the property. To get the most from a viewing make sure that you know your requirements, arrange a good time for the viewing, ask questions about the property, take notes and finally investigate the community of which the property is a part. Whether you are looking for a property as an investment or a new home will likely impact the requirements you have of that property. Before viewing anything, make a checklist of your dream property. Where is it? How large is it? How many bedrooms? How many bathrooms? How close to the shops? Anything you think of as necessary for the property should be on that list. Referring to it during viewings should help you evaluate a property when you are standing in it. The best time for a viewing is during daylight hours. This allows you to see the property itself as well as the way it interacts with light. Also arrange viewings when you have enough time to spend at least 30 minutes at the property. A quick walk through is not a proper viewing. Allow yourself the leisure of inspecting both the interior and exterior of the property and try not to let others rush you along as you go. While you are viewing the property feel free to ask the estate agent or owner any questions you may have. Ask how long the property has been on the market. Ask if fittings and appliances come with the property. Ask if the property is under offer. Ask why the property is being sold. Ask about nearby schools, if subsidence (shifting of the earth) occurs on the property and if there is any building work being completed close by. Just make sure to ask in a respectful tone and to limit your questions to those about the property, not about the seller’s life or any other topic. As the seller or estate agent answers your questions, take notes. Also note anything you particularly like or don’t like about the property and anything you would like included or taken away if you were to buy the property. After viewing several properties they can all begin to run together in your memory so having concrete notes in front of you can help to job your memory later. 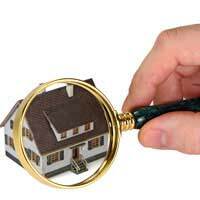 When you are finished viewing a particular property spend a little time investigating the local community. Confirm what you have been told about schools, subsidence and any building work taking place in the local area. Find out more about public transport, public buildings (libraries, community centres, leisure centres, etc.) and shops that are close to the property. See if there are any nearby attractions or any events that might bring flocks of tourists to the area. A great way to garner more information about the area is to see for yourself and chat with residents at a local café or gathering. Viewing a potential property to buy is not always the easiest task in the world. Stay patient and remind yourself that you will find your perfect property soon – otherwise you might give in to the temptation of ending the search rather than holding out for your dream property.